April is an interesting month to forecast, being a crucial ‘shoulder season’ period for the energy sector, as well as providing our first real opportunity to peer through the ‘spring barrier’ and get some idea of where the summer pattern might land. 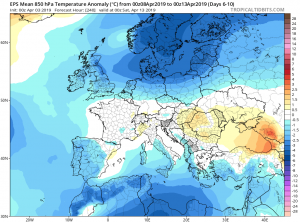 This might not cause much of a ripple, given the model forecasts currently advertising a colder than average first half of the month, but April does look to be being a cooler than average month, as well as offering a continuation of the drier than normal conditions across much of NW Europe. Looking back at March, the observed sea level pressure anomalies depicted a broadly flat pattern across the North Atlantic with higher than normal surface pressure extending across the Azores and unusually far north from Newfoundland across to the UK. As with February, pressure across the northern latitudes was anomalously low. The key climate indices were the Quasi Biennial Oscillation (QBO), and the Arctic Oscillation, which were both in a strongly positive phase. Analysis of strongly positive QBO for March, particularly during low solar activity, suggests that this driver had a strong footprint (as it has for much of the second half of the winter). Allied to the strongly positive AO (blues and purples to our north), the two indices account for a large proportion of what went on last month. 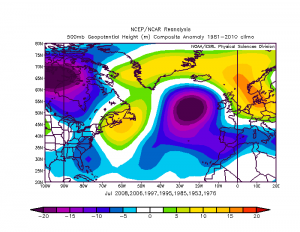 The pressure anomalies over the polar region will show a greater tendency to rise above normal indicative of a more neutral negative phase of both the Arctic and North Atlantic Oscillations. 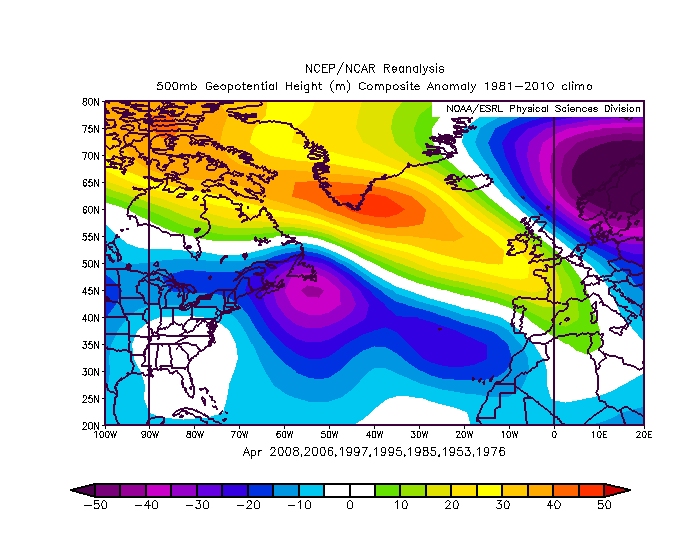 Analogues (years with similar circumstances) for a strong positive QBO under low solar conditions depict a sharp reversal from the pattern observed for March, with higher than normal pressures over Greenland, and lower than normal pressures over Scandinavia. 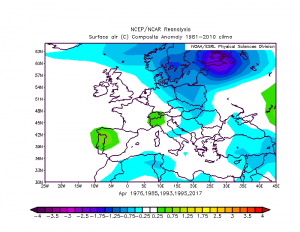 That is a discernible signal for cooler than normal conditions across north-west Europe, and bears out current modelling projections suggesting colder conditions. 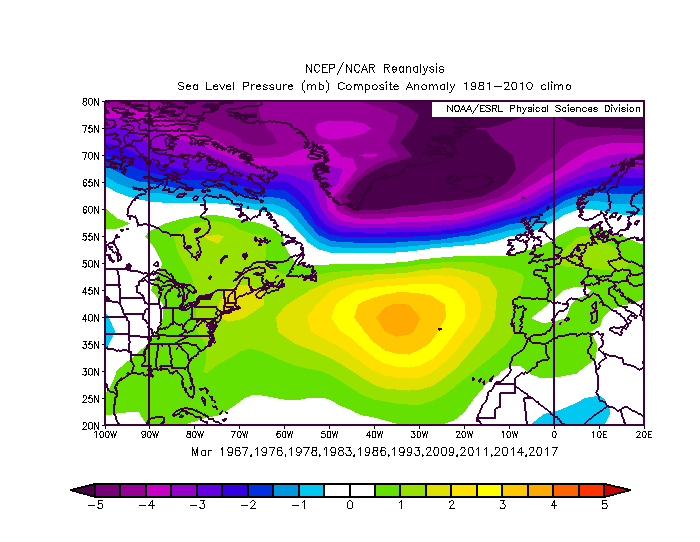 Figure 3: Sea level pressure (left) and surface temperature anomalies (centre) for strongly positive QBO during April, and forecast temperature anomalies (right) for early April. 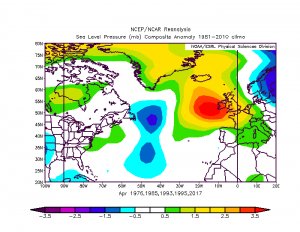 Although El Nino conditions have been prevalent throughout the winter, there has been an unusual and somewhat suppressed extra-tropical response. It is possible however that weak El Nino conditions will emerge in the extra-tropical regions during April . 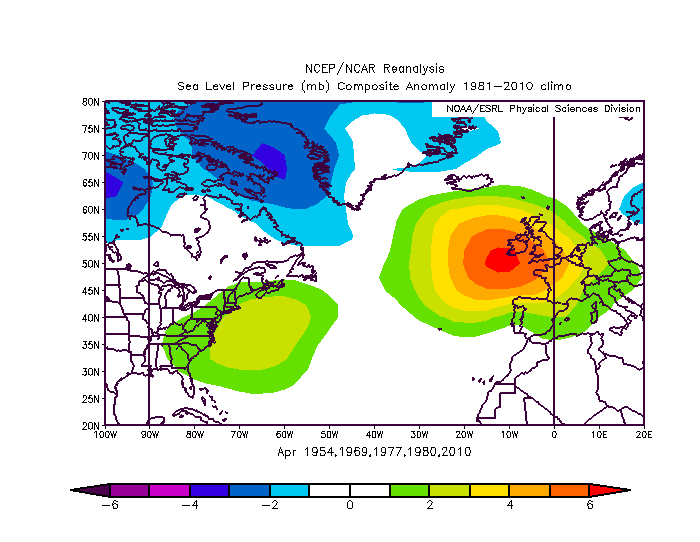 This would signal higher than normal pressure tendency just to the west of the UK. Putting those two factors together suggests some constructive interference for a signal for higher pressure to the west and north-west of the UK giving a cooler, drier outlook for April. The positive QBO will be around for some considerable time, and provides some insight into how June and July might play out. Strong west QBOs under low solar activity conditions imply a trend for higher pressure to the east and low pressure to the west of the UK. 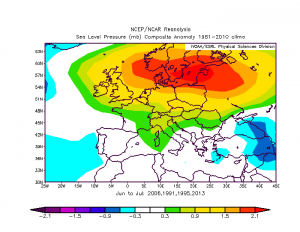 A weak El Nino is also likely to persist into July. 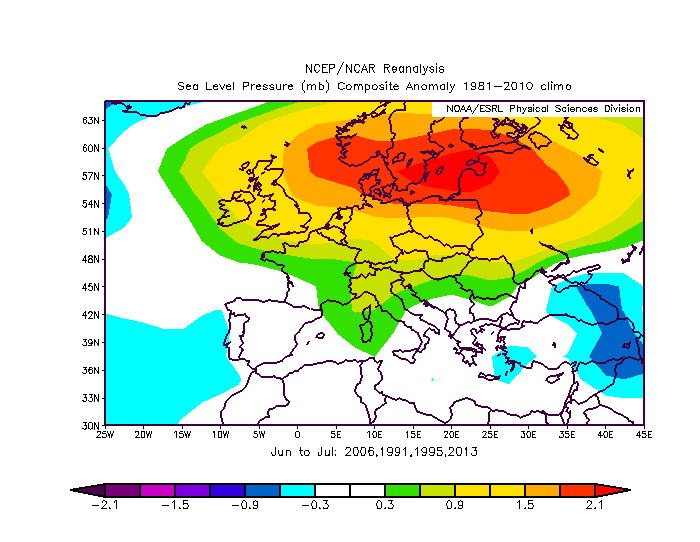 That broadly agrees with the strongly positive QBO signal for NW Europe. Also of note, the observed trend in atmospheric profile over the polar region seems to be showing similarities with 1991, 1995, 2006 and 2013. That leaves us with the tease that the first part of the summer (and maybe more especially July), will feature higher pressure to the east of the UK drawing up warm, dry air. That’s still some way off, and no forecast is issued yet, but it’s not inconceivable that other considered drivers are also in the same ball park here, that the summer pattern will (once again) feature a mid latitude type high pressure signal and weaker than normal Azores ridge, which is the normal route for a warm summer pattern across Europe.